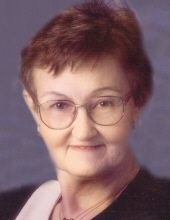 Dolores “Dottie” Vandehei, 89, Oneida, passed away peacefully into the waiting arms of her husband on Friday April 12, 2019. She was born March 27, 1930 to the late Andrew and Martha (Zillmer) Sigl. On June 10, 1950 she was united in marriage to Jim Vandehei. She was a member of St. Joseph Catholic Church, Oneida and a member of the Ladies Altar Rosary Society. She ushered, helped with funeral meals, and various other church activities. Dottie enjoyed bowling, golfing, Bridge Club, playing cards, camping, and traveling, but it was the time spent with her family that she looked forward to the most. She is survived by her children; Kathy Vandehei, Debi (Rick) Klika, Lisa (Mark) Perrigo, Brenda (Mike) Lamers, and daughter in law; Cyndi (Mark) Gossen. Dottie is further survived by her grandchildren; Alison (Bill) Leisgang, Sean Boyle, Tina Levantez, Chad (Kathy) Vandehei, Jennifer (fiancé John Evans) Klika, Steve Klika, Amanda Klika, Janel (Shawn) Allen, Eric Englebert, Robert Perrigo, Alicia Van De Hey, great grandchildren; James, Jerry, Delarosa, Hunter, Hailey, Coalton, Chase, Natalie, Clayton, Kylie, Addaley, Brantley, and special God Daughter, Lynn Knute. Dottie’s four sister in laws also survive; Rosemary (Ted) Prosser, Alyce (Jack) Kellerman, Anita Perock, andFaye (Reuel) Robertson. She was preceded in death by her husband; Jim. Their son Ron, as well as her siblings; Glendon Sigl, Norbert (Beatrice) Sigl, Bernard (Gertrude) Sigl, Violet Sigl, Roland (Gladys) Sigl, Jean (George) Knute, as well as Dottie’s in laws; Vernon (Violet) Vandehei, Richard (Jean) Vandehei, Jeanette (Charlie) Puyleart, Jerry Berken, Helen (Joseph) Lemmen, Bill (Carol) Vandehei, Michael Perock, and her good friend Bea Wellens. Friends may call after 9:00AM Wednesday April 17,2019 at St. Joseph Catholic Church, Oneida, until the Mass of Christian Burial at 11:00AM. Entombment will take place at Allouez Catholic Mausoleum. Please go to www.ryanfh.com to send online condolences to the family. Please in lieu of flowers and plants, a memorial fund will be established. Special thanks to Renaissance and Unity Hospice for all of their care and concern shown to Dottie and her family. To send flowers or a remembrance gift to the family of Dolores Vandehei, please visit our Tribute Store. "Email Address" would like to share the life celebration of Dolores Vandehei. Click on the "link" to go to share a favorite memory or leave a condolence message for the family.